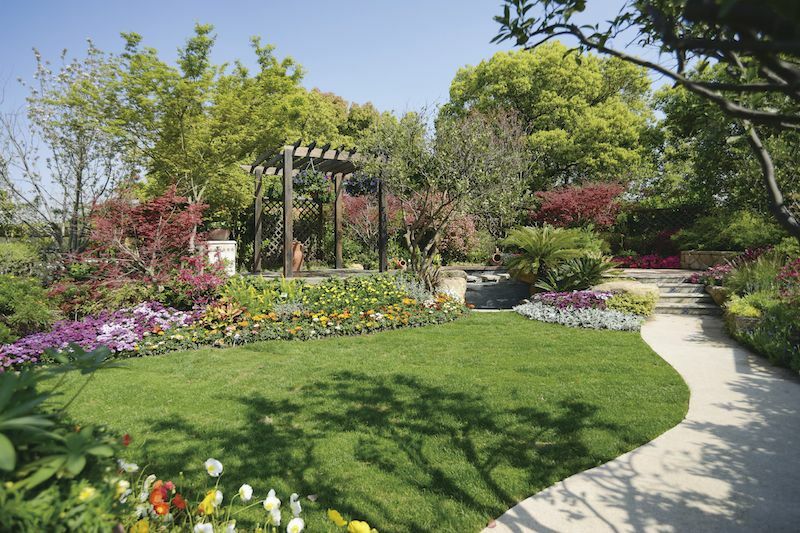 Landscaping Blog | J&J Landscape Management, Inc.
Alexandria, Virginia based J&J Landscape Management, Inc. has been named by Northern Virginia Magazine as Top Landscape Contractor for 2017. J&J was nominated by customers for this award and votes were tallied throughout 2016. “We at J&J Landscape Management, Inc. are grateful and humbled by our customer’s opinions and satisfaction,” James Derrington, President of J&J Landscape Management, Inc. said. “We really value our customers input and the long-term relationships we have built with many of them mean a lot to us. 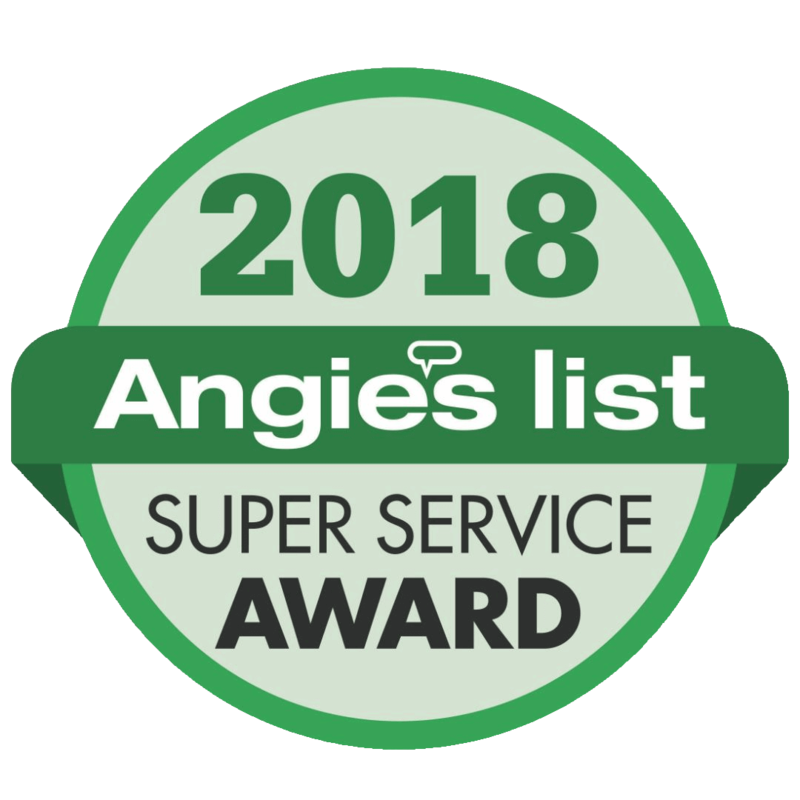 I was very excited to learn that so many of our customers took time to nominate and subsequently vote for our company for this award. While we thank our customers for the votes, this is really a testament to our entire team. From the sales team, office staff, managers, crew foremen, and crew members, everyone deserves credit for the award. It simply would not have happened without them." 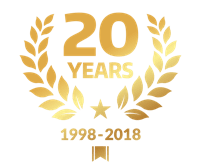 Since being founded in 1998, J&J Landscape Management, Inc. has grown into the full service landscape contracting company you see today, with over 60 employees. J&J maintains over 800 individual properties throughout the Washington DC metropolitan region, including residential, commercial, and governmental sites. J&J also works on hundreds of new landscape installations and hardscape/outdoor living space installations each year. The Top Contractor Award is heralded and respected in J&J’s industry. 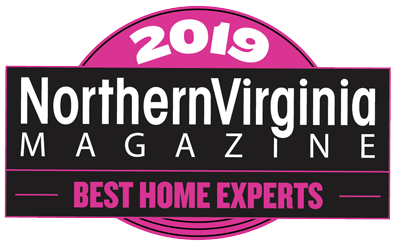 Northern Virginia Magazine and other award winning companies can be reached by visiting northernvirginiamag.com. 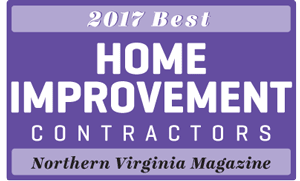 Congratulations J&J Landscape Management, Inc. for earning the Northern Virginia Magazine 2017 Top Contractor Award! J&J Landscape Management, Inc. offers countless hardscape design and installation options for your property. One of our favorite materials to work with is natural flagstone. There are many advantages to using Flagstone; it guarantees the individuality of your projects, it provides a rich, natural look to your landscape or hardscape, and it is a durable and low maintenance material. Flagstone is a great option for walkways, patios, or fire pits and there are multiple installation options to choose from. Because Flagstone is a natural product, each piece is unique. Flagstone can be be cut into dimensional or symmetrical pieces or used in its natural form. We refer to these options as ‘dimensional’ or ‘irregular’ flagstone. Both options can be used to create beautiful hardscapes that will complement your outdoor living spaces. In addition to the shape of each stone, there are hundreds of variations in color and texture to choose from. Flagstone is quarried in many different parts of the country, making each piece unique. The options are virtually endless. Call us today to and we’ll go over your options for complimenting your outdoor living spaces with flagstone. Design options for flagstone are endless. We have helped our clients dream and implement amazing walkways, seating areas, patios, fire pits and much more with this great material. Two of the styles in which flagstone can be used are in formal and informal designs. Generally dimensional flagstone is used when a more formal look is desired and irregular stone is used in more informal situations. However, just like any design, there are no rules! We have used informal flagstone patio layouts of some very formal spaces. Our designers will help you through this process. There are two ways flagstone can be installed for at grade level applications. A concrete base can be used and the flagstone can be mortared in place or a gravel base can be used and the flagstone can be set in stone dust. Both options provide long term solutions and are low maintenance, yet add different personality to your landscape. Unsure? Let our designers discuss the pros of each option with you. Flagstone can surely add accent, appeal, and value to your property. The numerous textures, colors, cuts, and installation options make this an enticing addition to any outdoor space. The versatility of flagstone, along with its individuality, make it an excellent choice for the discerning tastes of any homeowner. Thanks for another great review. You make us proud! "Quick, polite responses.. Day 1 I emailed a request for a quote and received confirmation. Day 2 while the contractor was on site I received a call to follow up with request and describe options. Day 3 I had the written quote, very reasonably priced, emailed to me (which I accepted after a small tweak). Day 4 we had our first mow/service without complaint. Amazing customer service by Kate." We did a major landscape overhaul on this customer's 5 acre estate. 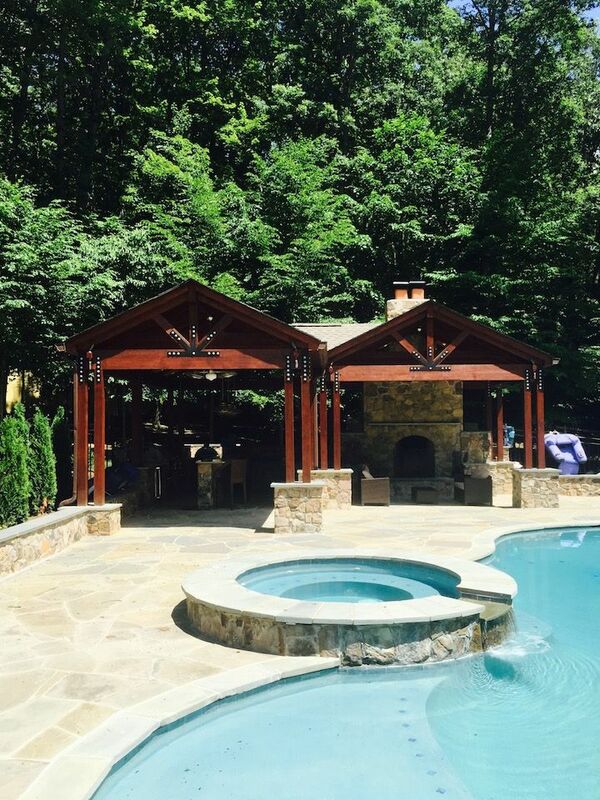 Major landscape installation, a new pool deck, outdoor kitchen, pool pavilion, fire pit, and multiple pathways and patios were part of the job. The job took almost 8 months from start to finish and turned out great. See what the customer has to say. "Recently bought a property that needed major landscaping work. Asked 3 companies to bid on the project. James who is the president of the company came by himself to take a look around and give me an estimate. I was a bit concern that the president of the company is coming to take a look at the job wondering how big the company might be, but to my surprise when they started the work, it was an army of people and equipment and they did the job on time, very clean and very professional. James gave me a proposal first and then on his own asked if he could come back and take a second look around the Fairfax, VA property to see if he can save me some money and he actually did. This was not because I told him he was more expensive or anything, it was just second look at the job as he had ideas to save me time and money. The first project was done on time and since then I have done three other projects with him all of which have been done on time and with great care. The man cares about his reputation and it shows." We are very proud to have gotten this great review from a customer in Alexandria. 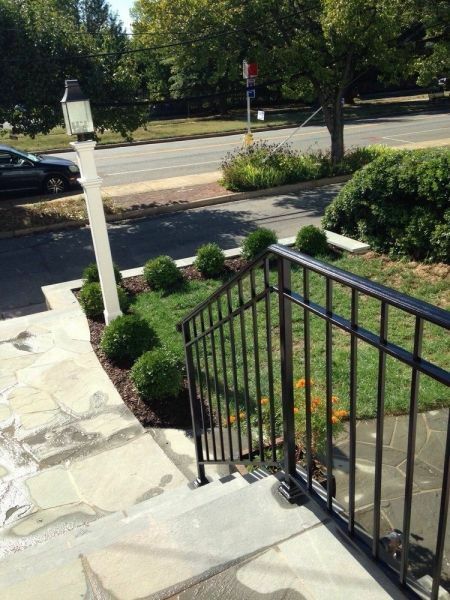 We installed a new stone retaining wall, front walkway, and new front steps with a custom iron railing. A year later, the customer is still ecstatic. Check out the review! "This company is AMAZING. I only hope I can write a review glowing enough to match their work. Every person on the J&J team from management to design to labor is hardworking, professional, and highly skilled. They ensured that each step along the way in the process went smoothly and correctly. We live in Old Town, Alexandria, and needed multiple things done to our front yard. Water was getting in our window wells into our kitchen, so we needed our yard re-graded and a new window well design. We also wanted a new walkway and steps and a retaining wall to be equal parts aesthetically pleasing and functional. After meeting with and getting proposals from 10+ other reputable and highly-rated companies, we decided that the team at J&J was the best. Before they started any work, Luis met with us to get a feel for what we wanted so he could work on a design. Luis was so patient with me - listening to every single request and coming up with multiple designs that would match my many particular requests. After talking with him, he really got a sense of what I wanted and was able to sketch a plan that we were so happy with. Surprisingly, J&J was the ONLY company that we interviewed that presented us with design sketches. Being a visual person, the sketches were extremely helpful in visualizing a new yard. They also matched the price of another company that is renowned in Alexandria, even though their plan included more work. After the design was finalized, the labor team came out and started working. This involved lots of precarious digging around a gas line (during a heat wave, in the direct sun), only to find that the drain that they were going to install from the window well to the sidewalk would not work. Unforeseen things like that can happen during the process, but Luis improvised and tweaked the plan and the work continued seamlessly with collaboration from the labor team. Mario was the main worker - HE IS INCREDIBLE. I can't say enough good things about this guy... he is probably one of the hardest workers and most skilled in his craft that I have ever met in my life. He was out there every single morning, working for hours upon hours, dealing with my 2 kids jumping around and in his way, creating the most beautiful wall and patio. He truly is an artist and a master in his trade. I felt completely comfortable letting him take the reigns and make design changes as needed (which is atypical for me because I am very particular!). Bottom line is he knows what he is doing and does it extremely well. The project took about 3 weeks from start to finish. They cleaned up everything, every day. I wish they put a sign with their company name in our yard during the work because everyone who walked by complimented our yard and wanted to know the name of the company. Even now, months later, people are still commenting as they walk by and saying how awesome our yard and wall looks. Additionally, not only does it LOOK fabulous... but the design is flawless and not a drop of water got in our basement after Hurricane Joaquin and all the rain the other week! We are extremely pleased and give J&J our highest recommendation. 1 year later update - everything is still great and no water comes near our basement. We get compliments on the front area all the time and we plan on using J&J for our patio too." 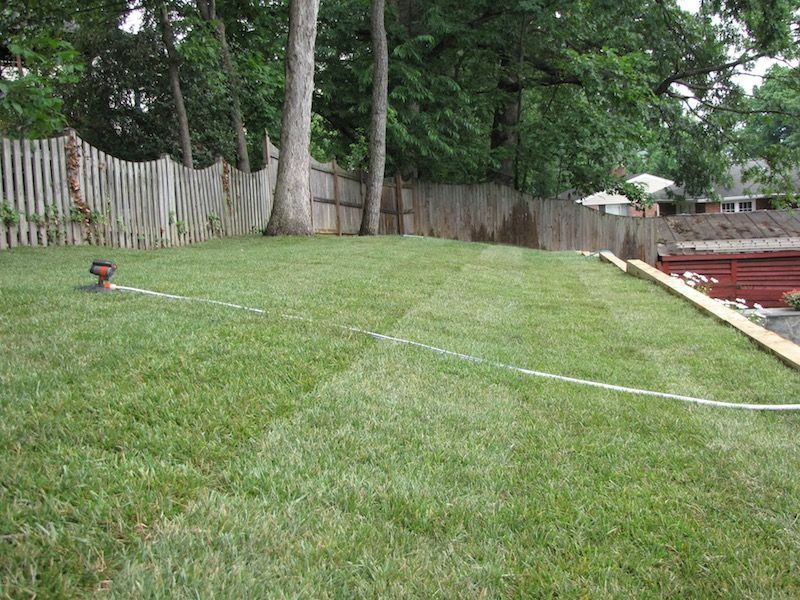 J&J Landscape Management, Inc. was founded in Alexandria, VA in 1998. Since then, we have worked on hundreds of residential landscaping projects in Alexandria, ranging from small landscape cleanups to complete landscape installations that include both hardscape and landscaping. We are still proud to call Alexandria home, and we work with many of the same customers who helped us in the very beginning. Besides being a great place to start a business, Alexandria is a great place to live and visit. Thousands of tourists from around the world come to visit our historic city every year. They are drawn to the unique history, excellent shopping, outdoor activities, and numerous restaurant choices. Ghost tours, boat rides, shopping, brewery tours, art galleries and site seeing provide plenty of choices for visitors and residents alike to keep busy. Take a trip to Mt. Vernon to visit the home of George Washington, then retrace his steps in Alexandria as your eat and drink at the same historic spots he visited. Prefer to spend your time outside? Alexandria offers over 70 parks and 30 recreation centers. Take a run or bike ride on the extensive trail system or enjoy time with your four legged friend at one of the many dog parks within the city. There are lots of other amenities for your pets as well. Doggy Happy Hour, Canine Cruises, and numerous pet spas and boutiques are all easy to find. Alexandria offers something for everyone! We are excited to continue to provide residential landscape services in Alexandria, VA for years to come. If you live in Old Town, Del Ray, Rosemont, Beverly Hills, North Ridge, the West End, or any other part of Alexandria, we look forward to working with you. If you have a project in mind, please contact us today! Established trees and shrubs in the landscape should be drought tolerant on their own, except during extremely dry periods. 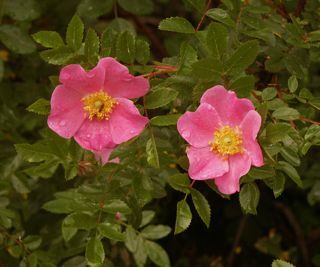 If you notice any wilting or the tips of any plants start to turn brown, they need more water. 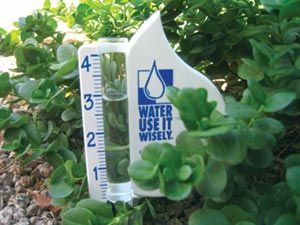 Try to follow the same approach as shown above, that is providing about an inch of water per week to the trees and shrubs. Early morning watering is best. -Any tree or shrub planted less that 12 months ago will be more susceptible to dry conditions and should be monitored for drought stress. These plants will need more water than the more established plant material. Try to give them at least an inch of water a week, spread out between 2 or 3 watering cycles. It is critical that newly installed sod gets the proper amount water. 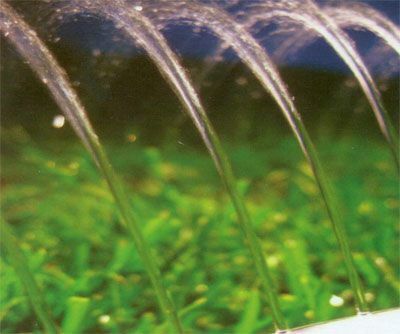 The number one reason why a sod installation is not successful is lack of water. New sod should be watered every 2 days, ensuring that the soil under the sod gets water. This will encourage proper deep root growth. During the very hot and dry summer months, this watering should be increased to every day, always in the morning. After the sod takes root, after about 2 or 3 weeks, the watering can be reduced to 2 or 3 times a week, providing an inch of water per week. Monitor your new sod closely for the first year until the root system has fully developed. Annuals present the greatest challenge during periods of drought. The very nature of their growing season means that they do not have an established root system to survive without adequate rain fall. Annuals should be watered every other day throughout the summer in order to thrive and consistently bloom. Again, aim for about an inch of water a week. A good annual fertilizer will also help them reach full potential. A properly irrigated and fertilized annual bed will really make your property look good.